Audi pulled out all the stops for the A1's premiere in Barcelona last week. 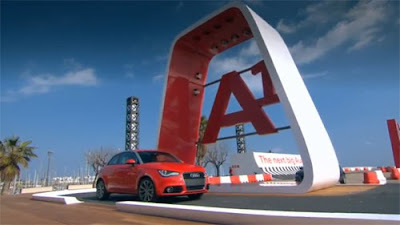 The event, called AreA1, featured; the A1 workshop, A1 lab, A1 playground and even the opportunity to ride 'shotgun' with a professional driver through a course highlighting the fun and versatility available from the Audi A1. Look for AreA1 to visit more European cities throughout the year.